It only seems like yesterday that he was smearing food over his face (oh wait, that was yesterday) and learning that there was a lot more exciting things than milk. I decided when he was very small that 'Baby led Weaning' was the way forward. I had a few doubts at first, and endlessly stressed about what I should feed him or whether I 'should' be pureeing and spoon feeding. At the time I didn't have internet access which I found really hard, I'd previously spent a long time reading though the Baby led weaning site and couldn't use it when I needed it most. In the end it seemed that Leo decided for me, he refused point blank to eat from a spoon when I gave it a try (admitedly probably a half-hearted try!) So, off we went BLW it was. 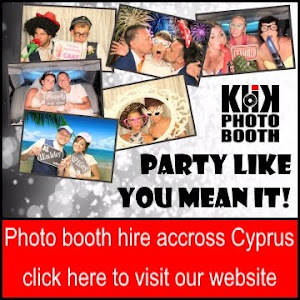 I was kind of glad I was not in the UK, we'd only just arrived in Cyprus and there was no-one to judge the decision or make me doubt myself, although I did plenty of that myself. Looking back though I'm glad I did it, I think - if I had another baby I'd probably introduce some stuff a little earlier - when I felt the baby was ready rather than sticking rigidly to the 'not before 6 months rule' and I'd try them with a spoon. I did worry a bit about him not getting enough food but I'd be much happier second time round and have more faith it would be all ok. It was brilliant though watching him discover all the new types of food, well, maybe except weetabix! I know, my sofa has never been the same since - I still can't believe how far he could spread it! really helped in understanding a language in a non-English alphabet. 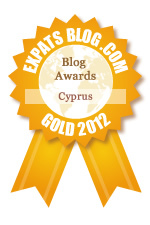 It was in the end, wish I hadn't bothered worrying about it so much looking back! I did have a few doubts about choking but the info on it all made so much sense. 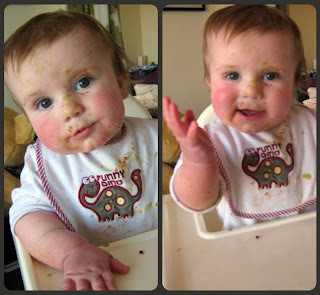 babyledweaning.com was a great help to me, worth a look even if you are mainly pureeing as they will be on 'proper' food sooner or later! Oh god the Weetabix is murder to clean up isn't it? 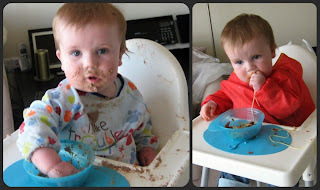 As I have 2 older children and back then you started weaning with yoghurt and apple puree at 4 months I didn't wait for the rigid 6 month rule. I also used BLW but must admit I also added other things along the way. I just wanted them to eat happily and it seems to have worked. Since going back to Slimming World at the start of January I've been making an effort to try some new recipes and keep varying my food every day. Although there is an endless choice when it comes to what you 'can' eat with Slimming World, like anything it's all too easy to fall into a habit of eating the same things day in and day out. I have many SW cookbooks as well as a folder with lots of recipes that I've collected from the magazine over the years, I've actually made very few though! Last week I decided to try a new one out, and I wish I'd made it sooner! 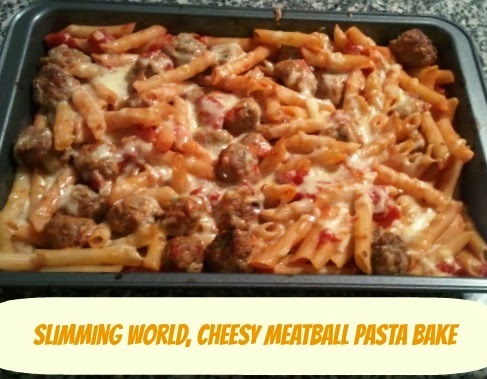 Cheesy Meatball Pasta Bake was a massive hit with the whole family and possibly one of the best main Slimming World meals I've ever made! 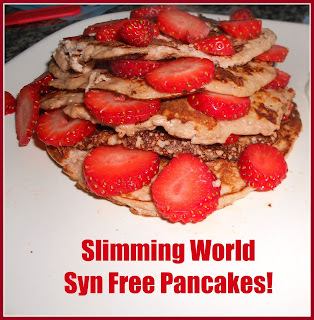 I've made loads of Slimming World recipes over the years but with the exception of Weetabix Cake I've not found many 'sweet' recipes that really work for me. They always seem to be missing something (that'll be the sugar and fat I guess!) and I generally find them not worth the effort or syns. Until today that is when I discovered 'Magic Pancakes' a recipe from my old SW consultant in the UK. They are so easy to make and are 'syn free' if you count them as a 'healthy B option. Mix the porridge oats and yoghurt, and leave in fridge overnight. Add the eggs and sweetener and you have your pancake mix! 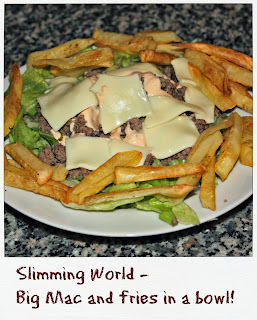 Big Mac and Fries - Slimming World style! As much as I love 'good' food, there are times when you feel only a Mcdonalds will do, something that I obviously try and steer clear of when sticking to the Slimming World plan with a Big Mac being something like 3 days worth of syns alone! Cook the mince and onion, add the gherkin and serve on a bed of shredded lettuce. Place the cheese slices and thousand island dressing on top and you're done! 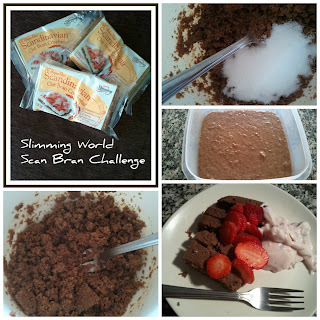 Two weeks ago in a moment of apparent madness I decided to do the 'Scan Bran Challenge' along with several others from my Slimming World group. 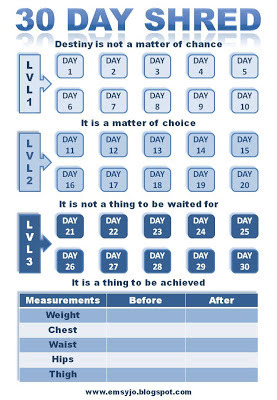 It's a bit of a craze sweeping the groups at the moment, the idea being that you eat 5 scan bran a day (either as a 'Healthy B choice' or counted as 5 syns) along with drinking at least the recommended 2 litres of water a day to help speed your weight loss. Its had mixed results in the group, some good weight losses and some no different to usual. I did very well at the start of the 1st week, sticking to the challenge from Monday until Thursday, at which point I went out drinking Thursday evening and then it all went to pot! At the weigh in on Monday I'd gained a pound, but I blame the drinking and resulting hangover cures, plus the kids party I went to on Saturday where I found myself eating cake and such like all afternoon!